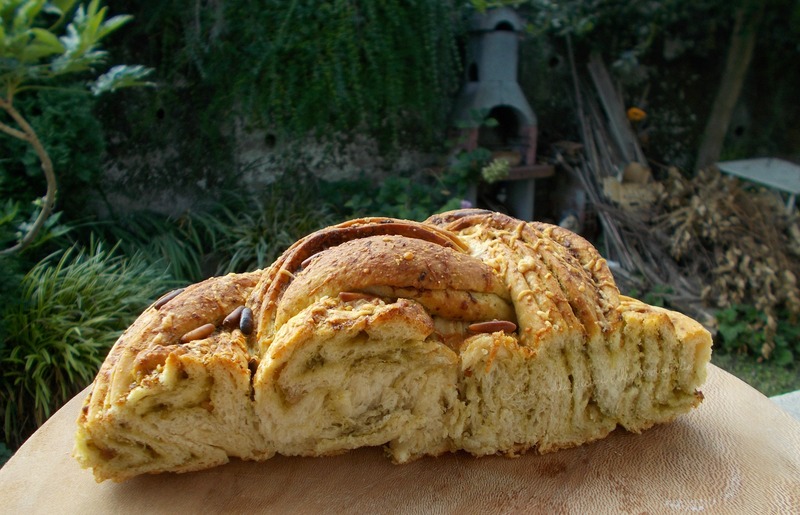 Russian rose loaf with pesto, parmesan and pine nuts: love at first sight! It’s not the first time that it happens, zapping through Pinterest 😉 during the summer, you know, kneading and let dough rise is so satisfying. Thanks to the warm temperatures everything will be easier and quicker. 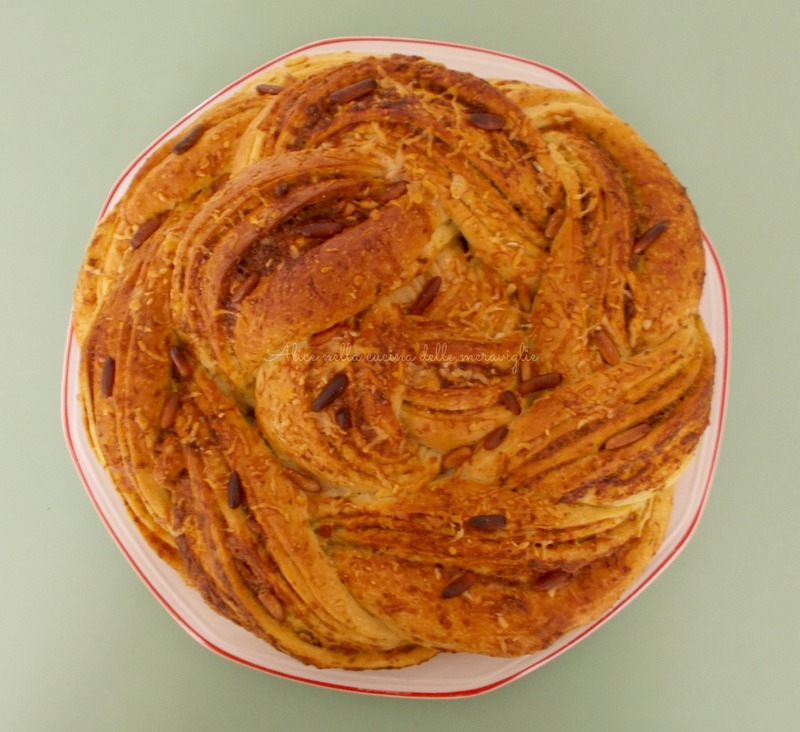 This loaf’s name is “Russian rose loaf”, I don’t know if it is really a Russian recipe, but I can guarantee that it is totally worth preparing it. 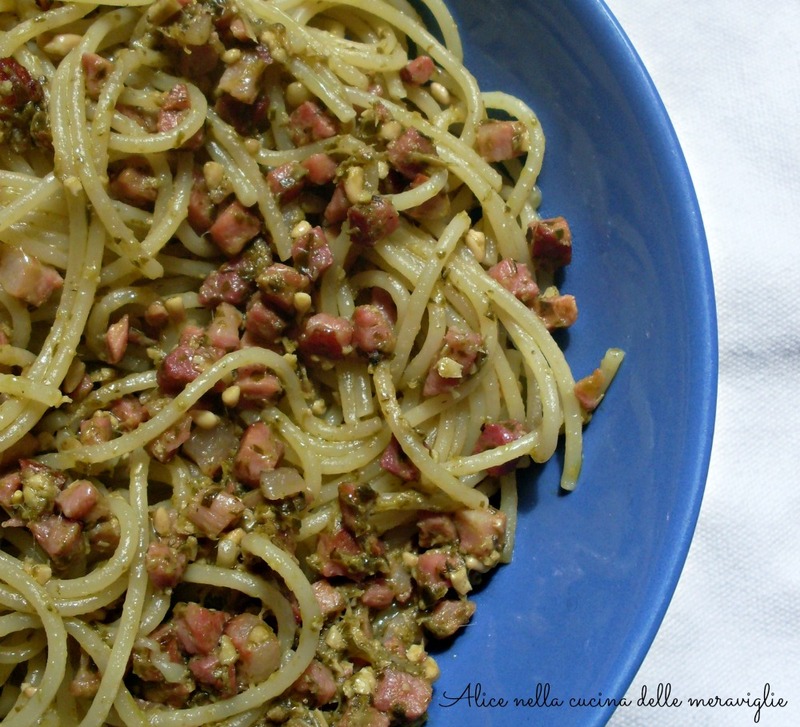 I recommend to use homemade pesto sauce. I did not the classic recipe, I simply blended olive oil, basil leaves (from my garden) and pine nuts together… and that’s it! Pesto is ready! Place all of the dough ingredients except water and salt in a large mixing bowl. Add the tepid salted water gradually. Add as much water as needed until all of the dry ingredients are moistened and pull together into a dough. Flour the work surface and knead the mixture for about 5 minutes. 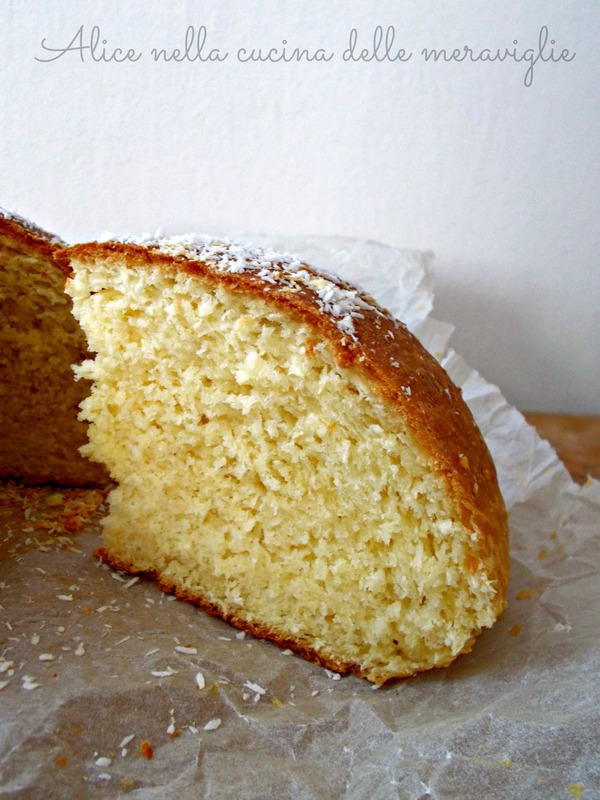 The dough should be solid and non-sticky. Form a ball with the dough, lightly oil a bowl and put the dough to rest, after having turned over a little bit in order to oil the entire surface of the dough. Cover with plastic wrap and a kitchen towel and let rise for about 40 minutes to an hour. The dough should almost double its initial volume. Take the dough and roll it out on a floured surface. To roll the dough, use the hands or a floured rolling pin. 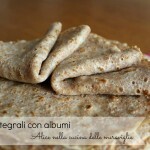 Roll the dough with a rectangular shape. 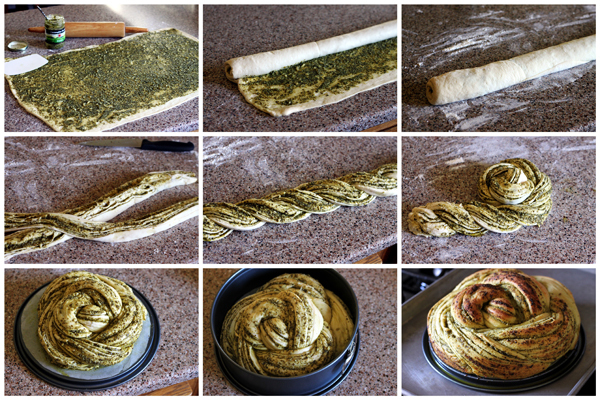 Brush the entire pastry with pesto, leaving 2-3 cm of space at the sides. 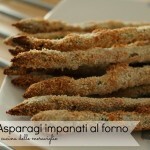 Sprinkle with Parmesan cheese and toasted chopped pine nuts. Roll the dough. You have to make a very tight roll. In the end, wet the edge with water and seal the roll. 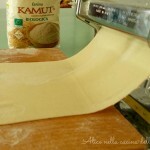 Shape the roll to make it even and make sure it is tightly closed. The closure must be in contact with the work table. To explain the process it will be easier to just look at the pictures below. 😉 Cut the roll lengthwise. Hold the filled roll ‘belly up’. Combine the two ends of the rolls and braid, always holding the stuffed part facing upwards. At the end of the braid, stick together the end of the rolls and shape the braid by twining the braid, as if it were the shell of a snail. 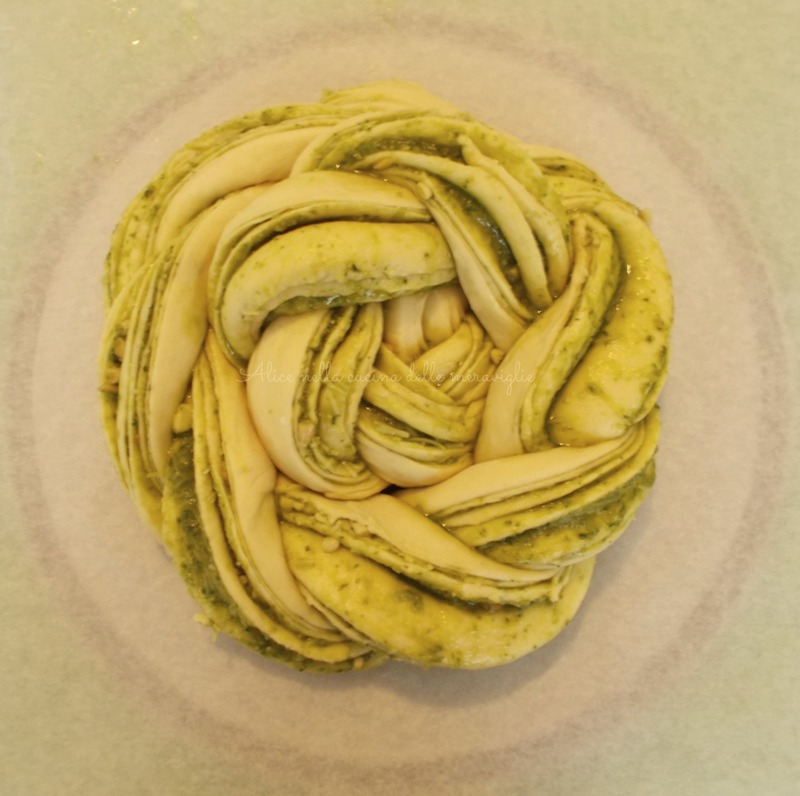 Lift the loaf and place in the center of the springform ring on the parchment paper. Let rise in the oven for 40-60 minutes. 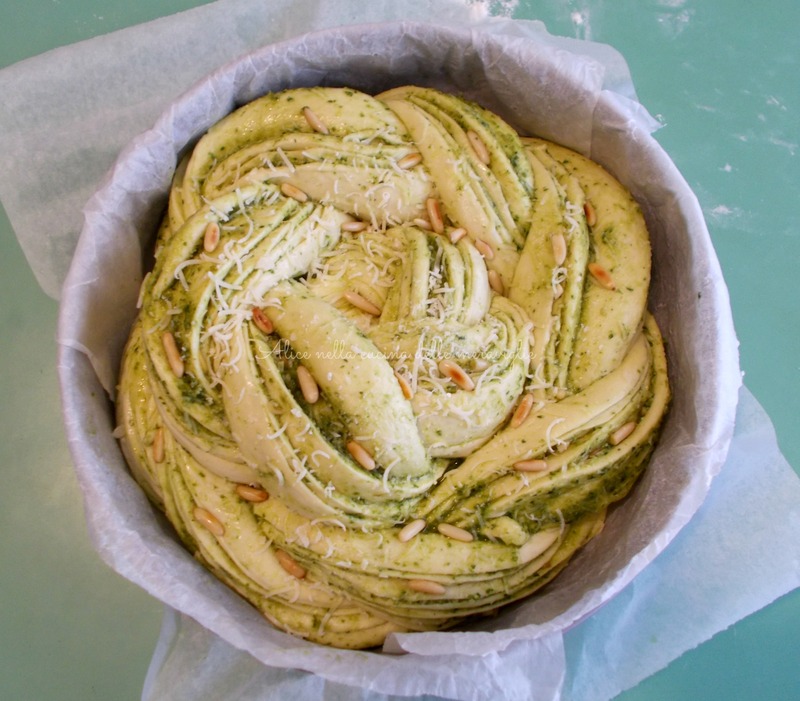 After the second rising, brush the loaf with a mixture of pesto and water, put even a handful of parmesan and a few whole toasted pine nuts. Preheat the oven to 210° (410°F). Bake the loaf for 10 minutes at 210° (410°F), then then decrease the oven temperature to 180° (355°F) and bake for another 25 – 30 minutes. Remove from the oven onto a cooling rack and lift off the ring around the loaf. 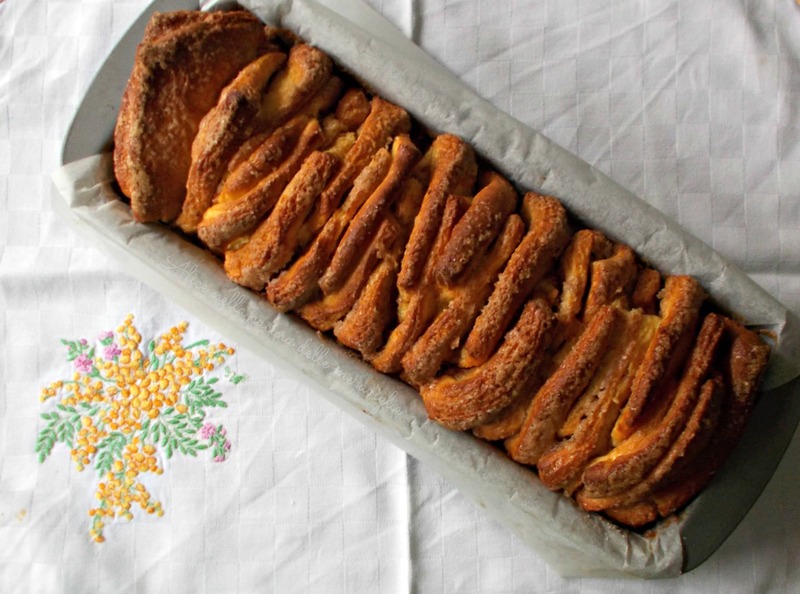 Serve the Russian rose loaf warm or cold. 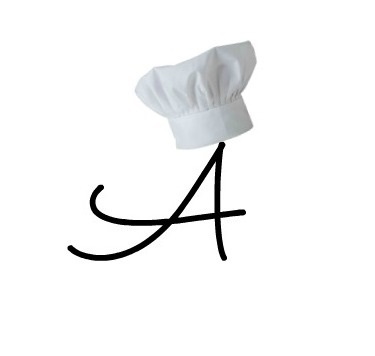 Here you can find the original recipe. 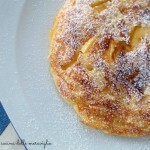 ciao comolimenti per il blog questa è proprio invitante e molyo bella! !